“Positive change” is now more than a feel-good concept. It’s a process of transformation that uses decades of scientific research to increase confidence, calm fears, energize passion and motivate others. Positive change consultant Bob Faw has turned these scientific insights into usable tools. He’s already taught thousands of people around the world how to ignite passion for goals, involve people in meaningful ways and inspire action for change. Now, his proven strategies are available in an engaging, practical guide for organizations and individuals. Leaders can use these principles to motivate their teams, create a positive environment and influence others. Individuals, become the best of who you are by changing the old, limiting stories playing in your head to positive “inner movies” that inspire you daily. Rewrite your “inner autobiography” to broaden your horizons and increase confidence. 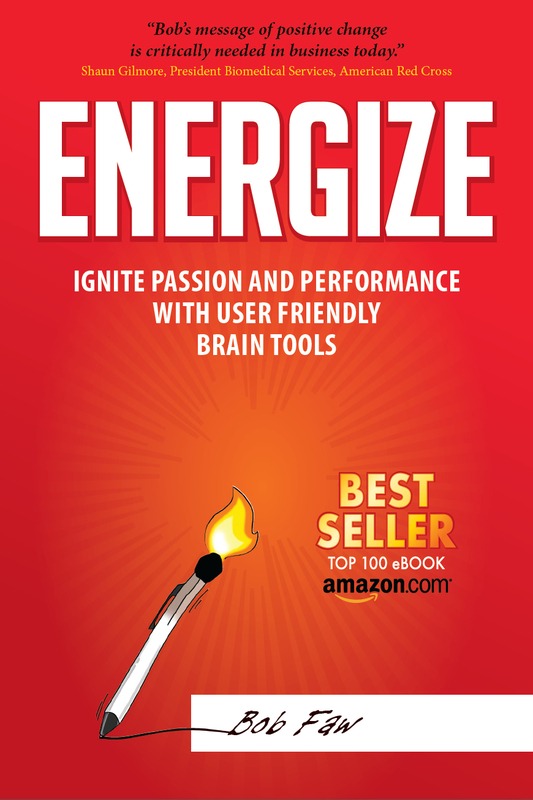 Bob will help you energize the way you think—and then take the steps to enact change. This is Dan Nobbe. My new partner is Tom Cornille. He and I met for a half hour and discussed what goals we have for the partnership and what each of us want to get out of our meetings.